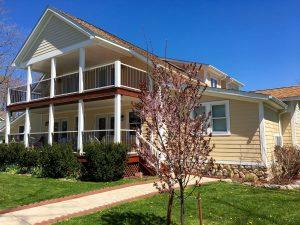 Put-In-Bay Bed and Breakfast provide a great island guest room with great choice of location. B and B’s spread across South Bass Island. Some are near the center of downtown, while others reside on the quiet side streets of the island. Regardless, the is a great Put in Bay Bed and Breakfast for any guest. Deciding to stay the night on the island opens new opportunities for guests. First, they will be able to take part in the legendary nightlife the island is so known for. Secondly, they’ll get to wake up and continue to explore the wonderful parks, attractions and activities on the island. Review the Put-In-Bay Events and select your dates. The time has come to put an island in your life! Guests staying at one of the lovely island homes will enjoy many things. First, many of the options are on beautiful lots. Taking in some of the beautiful nature of the island is very enjoyable. Second, this lodging type tends to be perfect for a romantic vacation. Grab your significant other and have a great time. Third, guests can easily meet with other like-minded people at their bed and breakfast. So, the advantages are clear. This resource is an excellent tool to plan a Lake Erie Islands vacation. Everything from lodging information, the best attractions and reviews on some of the best restaurants. Whatever information you seek can be found here. Perhaps a Bed and Breakfast won’t be large enough to accommodate your group. Fortunately, we have great Put-In-Bay Cabin Rentals partners to assist. Browse their inventory, and choose your Put-In-Bay House.